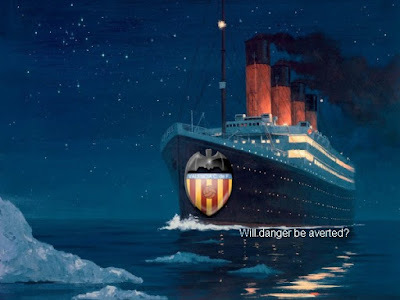 After the trashing from Real Madrid its hard to imagine such thing, but the best way for Valencia CF to break from this embarrassment is to win convincingly against Osasuna this week. Since Valencia CF is better at away matches anyways the stadium won't have any effect on the players, so a big win would be amazing and would also be a revenge for only drawing in the first half of the season against Osasuna. Valencia is also still 6 points clear from Villarreal and we need to keep it that way, knowing the fact that Villarreal are yet to play against Real Madrid and also have matches against Porto in the Europe League, so that will keep them preoccupied and hopefully they will loose points against Getafe, Mallorca and Real Madrid. Realistically Valencia have tougher matches coming up and they are all capable of taking points from us, so we should approach these matches cautiously, but yet energetically so we are able to win. Next week or the one after I'll be doing a summer transfer windows analysis of who should Valencia buy and/or sell. And then either before or after the final match I'll be giving out awards for the best player, best new player, best young player, most promising youth player and this time I'll be also adding the worst player of the season award.